Despite taking great care to avoid the most substantial obstacles, both crews suffered from punctures during the afternoon loop. Whilst Craig Breen fell back to eighth position after two punctures, Mads Østberg, who had been running fifth at the time, retired for the day when the harsh conditions led to a broken suspension arm. Khalid Al Qassimi also had to call it a day following a turbo failure. However, the roads proved to be even tougher on Saturday’s leg for the latest generation WRCs, with the cars enduring the greatest test they have faced since their introduction last year. Unfortunately, Citroën Total Abu Dhabi WRT did not escape unscathed. The roads broke up very quickly, unable to withstand the power of the WRCs, with sharp stones and other embedded rocks appearing on the surface. Mads Østberg was forced to stop with a turbo issue whilst Craig Breen, who had climbed back up to sixth overall despite his unfavourable road position (second), had to retire from the rally after his car burst into flames. 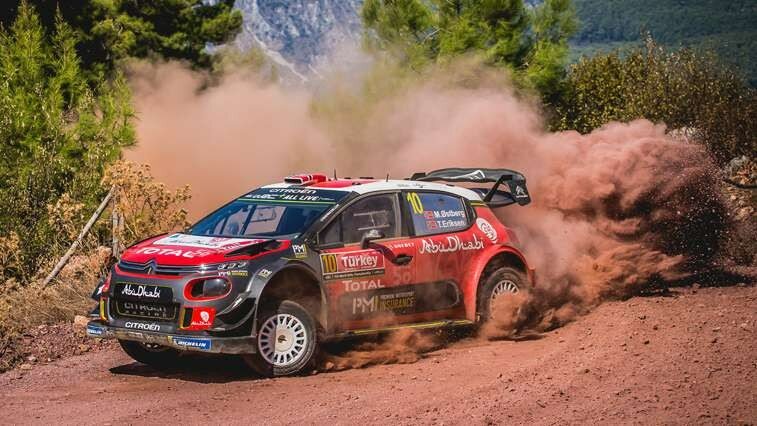 The rally ended on a more positive note on Sunday, however, with three consecutive second fastest times for Mads Østberg and Khalid Al Qassimi, securing a few manufacturers’ championship points. How would you assess this first outing in Turkey for the C3 WRC? “It is certainly positive that the C3 WRC was fast yet again, despite the long list of unknowns that we faced throughout the weekend’s stages. From the outset, both Mads and Craig were fighting for a podium place, with Craig even managing to win the longest and hardest stage of the rally. We were also right on the pace on Sunday, so clearly the car has the performance level. Despite this, we discovered during the weekend that the level of endurance demanded by Rally Turkey was a lot greater than usual. 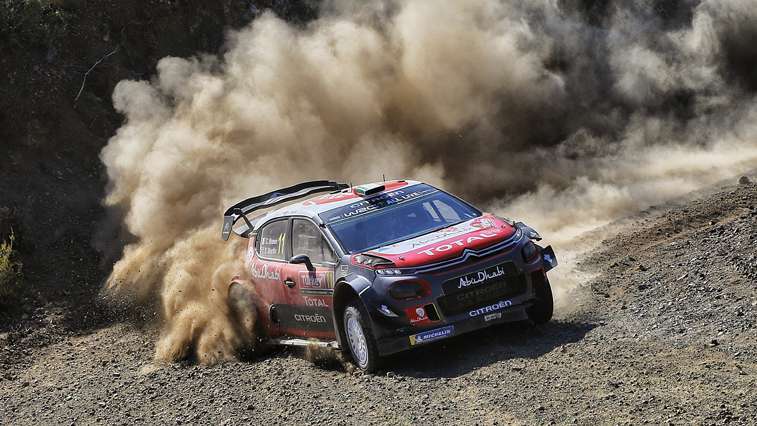 The stresses placed on the cars were extreme and the roads, which were rough to start with, broke up very quickly, something that our C3 WRC had not previously encountered. In these tough conditions, we also had to contend with some technical issues, which we had not experienced before. The championship calendar has not seen a rally like this one, which is so hard on the cars, for many years. How would you assess the performance of the team? A new rally means new pace notes must be taken in just two runs during the recce, at a much reduced pace. With the longest, most formidable and daunting stage of the rally (Çetibeli, over 38 kilometres) scheduled as the opener on Friday morning, it would become apparent very quickly who had worked well in the recce. It was Craig Breen that produced a stunning drive to win the stage, confirming from the beginning the strong pace of the C3 WRC on this surface and the Irishman's ability to adapt to new stages. The Irishman’s stage win also meant he led a WRC round for the first time in his short career. It was an almighty performance given the conditions, with constant changes in pace and road profiles, on perhaps the roughest surfaces seen in the WRC for a long time. The crews were not only forced to avoid the sharpest stones, but also contend with poor visibility caused by hanging dust on the stage.